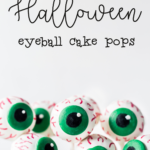 Now that the Little is 6-years-old, I’ve decided it’s time to kick Halloween up a notch and so I made these grain-free, gluten-free halloween eyeball cake pops. I don’t know about you but when I was a kid, I loved me some Halloween. My parents were not the type of people who portioned out the candy. Once they did their check to make sure there was no razor blades or homemade foods (in hindsight, it’s so sad we no longer trust our neighbors to share healthy homemade treats with each other), then they handed us our bag which was partially devoured in one night. 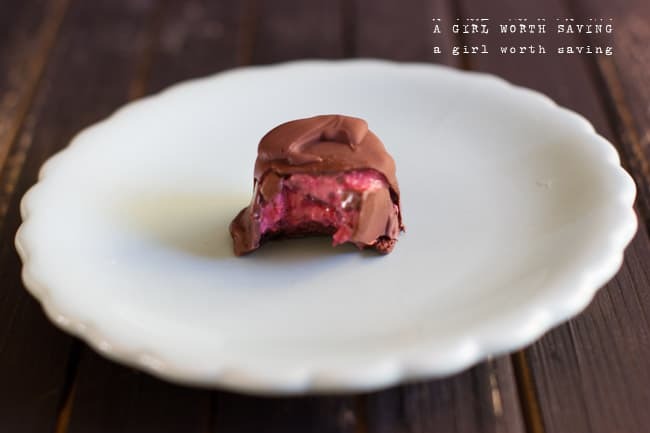 Ok, this recipe much more time consuming than what I typically share on the blog but it’s worth it. I used the cleanest ingredients I could find to decorate but if you are more flexible with what products you use, then you can use edible coloring pens and green colored candy wafers to cut down on decorating time. Preheat the oven to 350 degrees. 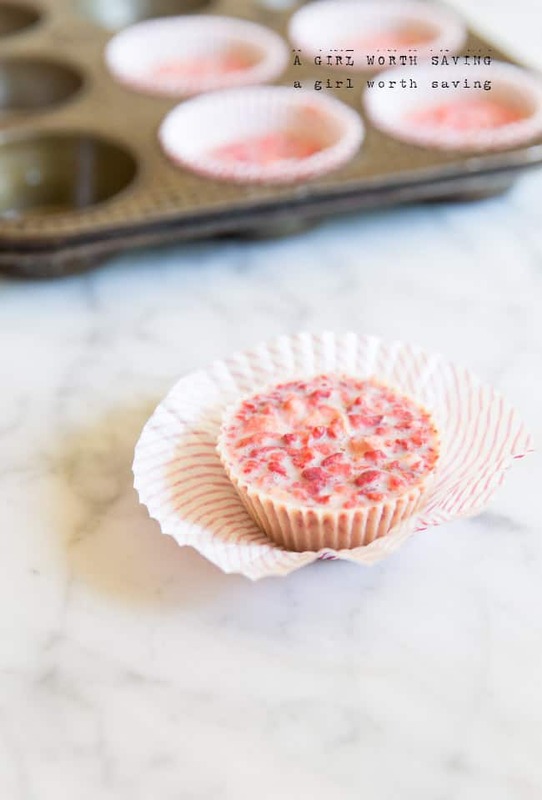 Line a cupcake pan with 10 cupcake liners and set aside. 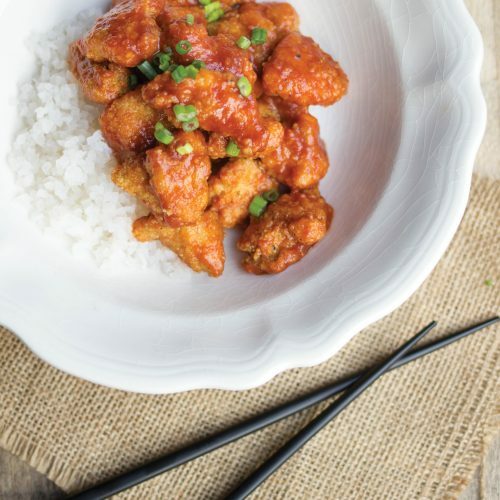 In a medium bowl add the ingredients and mix with a spoon until completely combined. 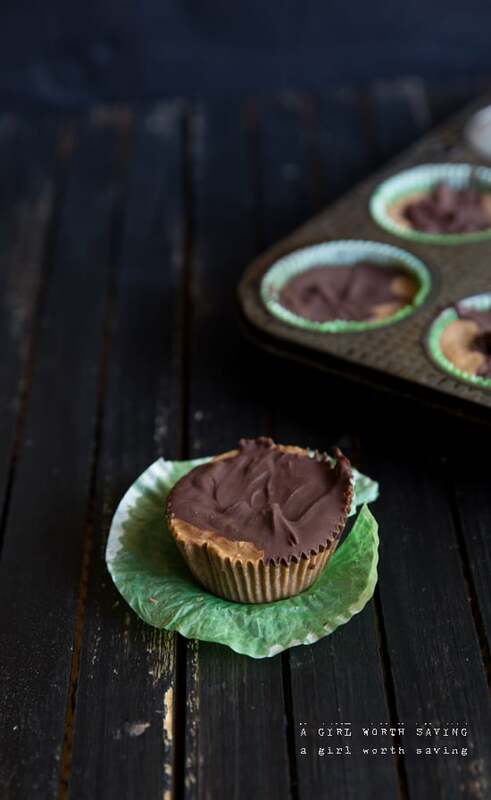 Pour the batter in to the cupcake liners and place in oven. Let cook for 15 to 18 minutes or until a toothpick comes out clean. In mixing bowl add in the ingredients for the frosting and mix with a hand mixer. Set aside. Crumble all the cupcakes into a large bowl, then start with ¼ cup of the frosting and mash everything together by hand. Form 20 2-inch balls by rolling the mixture tightly between the hands. 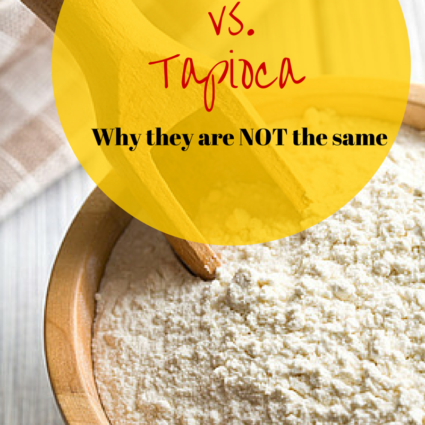 If the mixture is too crumbly, add more frosting a few tablespoons at a time. Too much frosting will create super sticky cake pops that are difficult to dip. 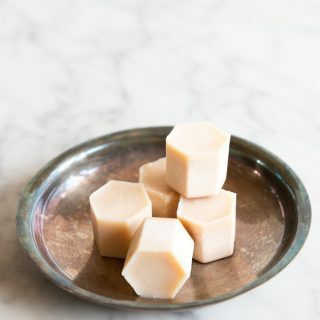 Melt about ½ cup of white candy wafers according to their instructions. Dip a cake pop stick about one inch into the melted coating, then push it halfway through a cake pop. Repeat with each cake pop, then cover tightly with plastic wrap and chill for at least 4 hours. Melt enough candy wafers in a dish to a depth of at least an inch deeper than the cake pop’s size. In one motion, dip a cake pop until it’s completely covered and pull it back out, being careful not to stir the melted candy with the cake pop. Gently tap off any excess, and spin the cake pop if necessary to stop drips. 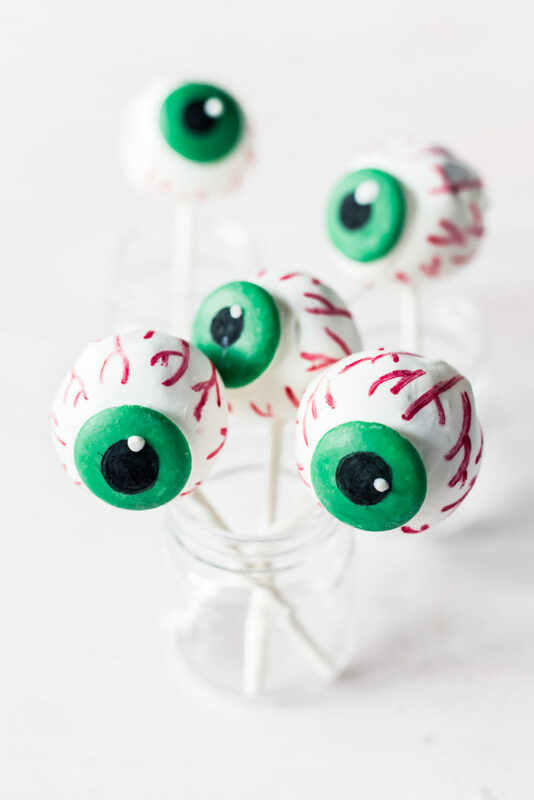 After about 30 seconds, place a candy wafer on the cake pop to create the iris of the eyeball. Place in a cake pop stand or foam brick to harden, and repeat with remaining cake pops, keeping undipped cake pops covered at all times. Once cake pops are hard, mix the gel colors per the instructions. To get vibrant colors use less water - start with just a drop and mix with the powder thoroughly before adding more. Draw blood vessels using red gel with a paint brush, color the iris with green, draw the iris using black, and use the remaining melted white candy wafers to create a reflection spot over each pupil. Oh my goodness these are so much fun! LOL love it! My kiddos would get a kick out of these. We have a fundraiser coming up for my daughters class in October, we’re in charge of desserts and the cake wake, these would be so much fun to make for that. I cannot believe this! I fully anticipated clicking over and finding some sort of off ingredient or food dye and this is all real food! Amazing and so beautifully done! 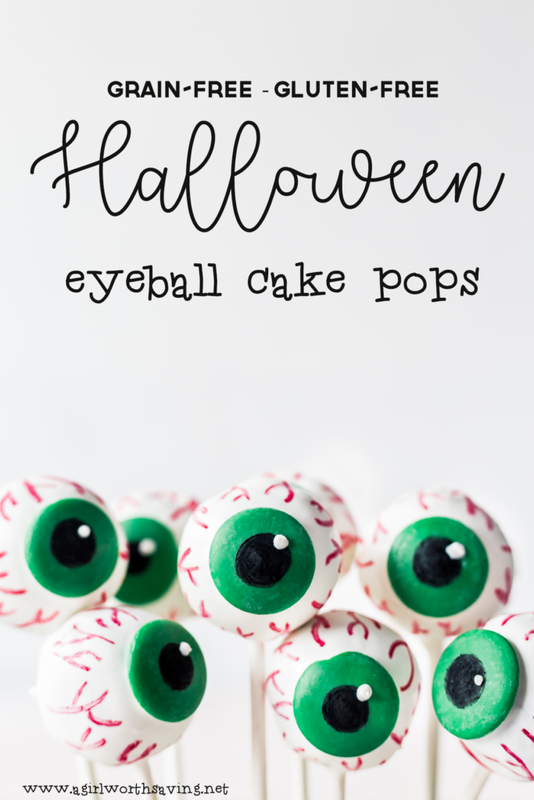 This is such a creative and fun treat for Halloween! I bet kids will love them. Do I have to wait till Halloween to make these? They look like so much fun (to make and to eat). Brilliant! OMG, these are the cutest and so spooky too! Best Halloween cake pops I’ve seen. Whoa!! these look (haha, because they are eyeballs) amazing! These cake pops are so adorable ! I need to make them ! Doesn’t time fly! We are now thinking about Halloween. 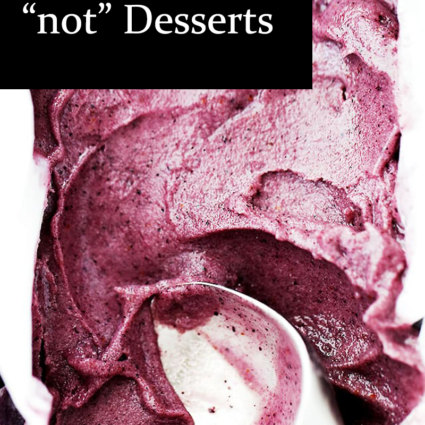 Thanks for that reminder as well as a terrific recipe! WOW! Halloween already?! This is my fav time of the year, I love the autumn, pumpkin spice and exciting seasonal recipes like this one. These are so fun and creative! You have some mad candy skills.